We found 5 episodes of More Than Just Code podcast - iOS and Swift development, news and advice with the tag “fireside”. 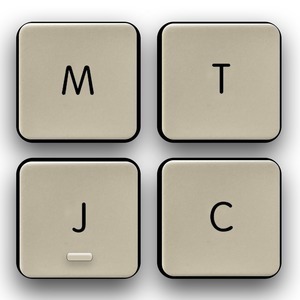 We respond to #askMTJC on podcasts cover art and phones with three back cameras. Apple improves subscriptions to prevent accidental enrollment. Apple and Qualcomm settle multiple claims against each other. A low-end iPhone may be coming in 2020. A hacker has dumped nearly a billion accounts. A new service will let you sell your own data to companies. Facebook Messenger to return to the main app and more. We discuss new features that may come to iOS 13. Apple is planning its own iPad as secondary display like Luna Display. Listening to podcasts on Apple Watch is a sleeper hit. Picks: Photographer takes apart everyday gadgets to reveal their inner workings, How to learn Prolog by watching Game of Thrones. After show: Kansas, the T-shirt saga, Notre Dame and Hawaii. We fact check on book of record, iPhone X problems, compromised accounts, Dread Pirate Roberts, Law of Diffusion of Innovation, C55 H104 O6, Curiosity on Twitter, Futurama SE1E02. We discuss 2FA on developer accounts, strategies for bent iPad Pros, Unlocking the Mac with Apple Watch, Apple & Alipay offer iPhone for $30/mo, Apple Stock price problems are over, Apple & Facebook are battling international encryption. Apple is planing sleep tracking on the Apple Watch. Apple allows developers to offer discounted subscriptions. Microsoft rolls out the HoloLens 2. Picks: Futurama S01E02: The Series Has Landed, A Recipe for Building Grocery 2.0, Notes From the Margins.